We landed at Penang and checked into our hotel and asked the staff where we should have lunch. 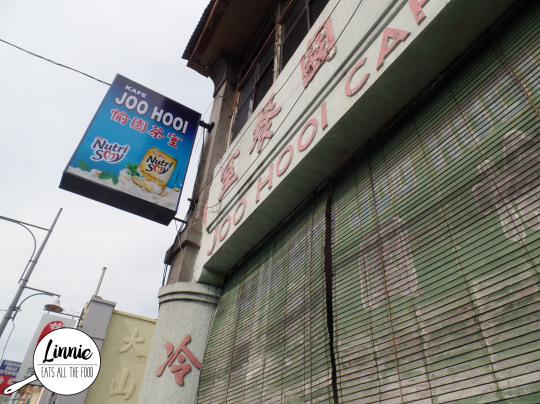 She suggested that we go to Jalan Penang and check out Joo Hooi Cafe because that’s where the well known cendul was. So off we went to have some legendary cendul and of course lunch. 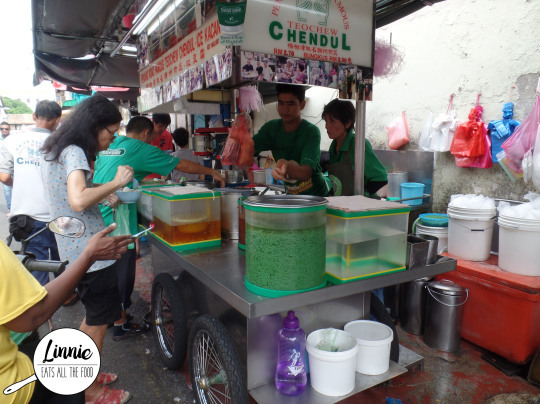 As you enter the cafe, you’re surrounded by many stalls and a staff from each one will walk around asking if you’d like to order from them. 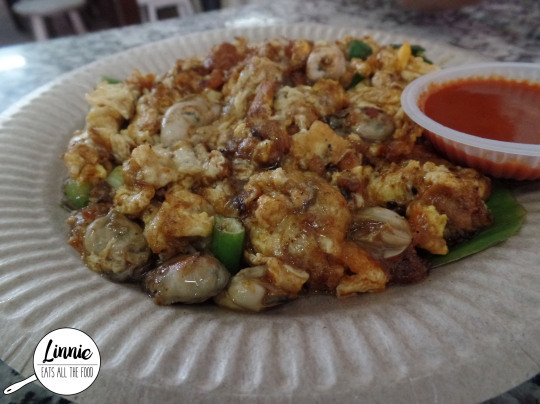 Miss Mumma loved oyster omelette and her eyes lit up when asked if she wanted it. I’ve never had it before and when it came out, I looked at it and thought ‘this is going to be gooey’. It came with chili sauce and despite it’s look, this was FABULOUS! It was so flavoursome, the oysters are so plump, juicy and fresh and the egg, oh my gosh, everything is AMAZEBALL! I heard that we can’t get it fresh like this in Melbourne and I’m really shattered now. 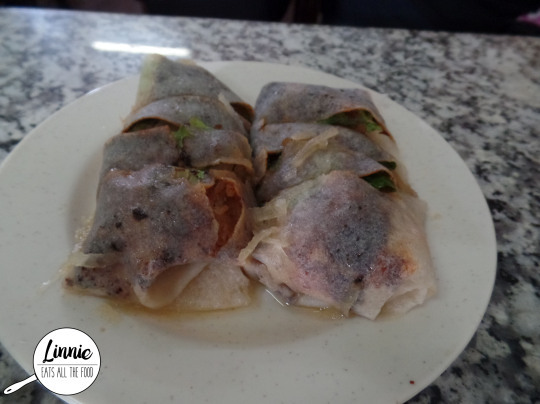 Miss Traveler saw the seafood popiah in the corner and ordered that. OH MY GOSH! This was the first time EVER that I tried this and it was MAGNIFICENT! It consists of mostly turnip and it was what dreams are made of. Get your hands on these if you haven’t had them yet. 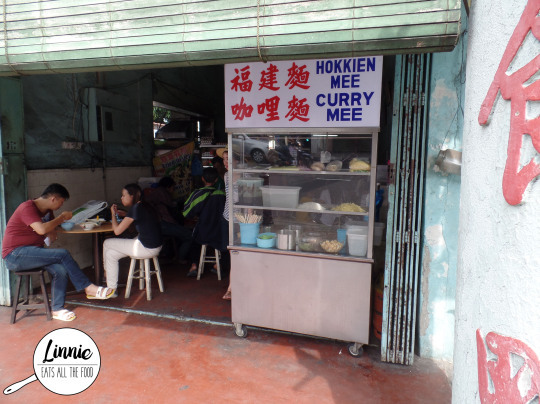 Miss Traveler wanted some curry mee and BOOM there was a stall in the cafe too! When it came out, the curry mee had satay on the spoon which you can add into the curry if you need to spice it up a bit. This wasn’t as creamy as I was use to in Melbourne and boy was it bursting with flavour. It was great having it in Penang’s hot and humid weather because it wasn’t heavy at all. Miss Traveler absolutely SMASHED this dish. 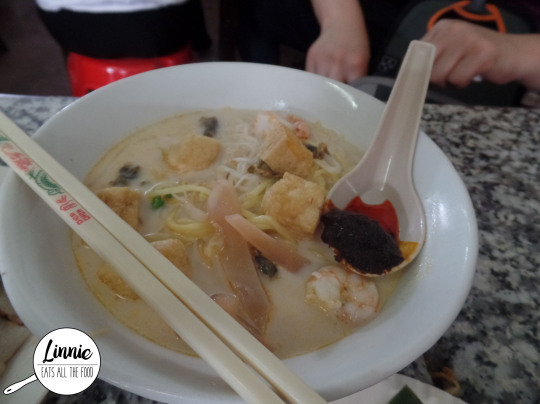 Penang is also known for their assam laksa which is more fish based and not something I’d usually get. But since we were in Penang, we had to get it. 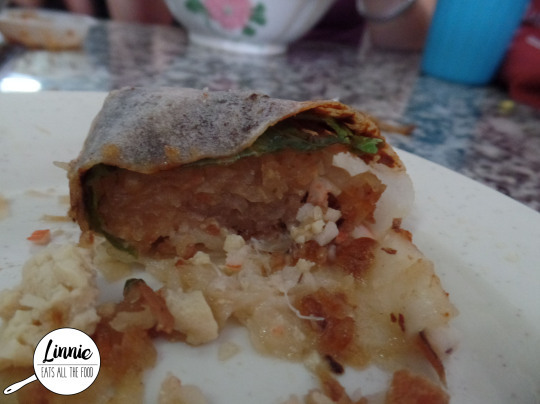 When it came out, it had a strong fishy smell but did not have the fishy taste at all which was super surprising. Miss Mumma LOVED it and did not find it too salty either. 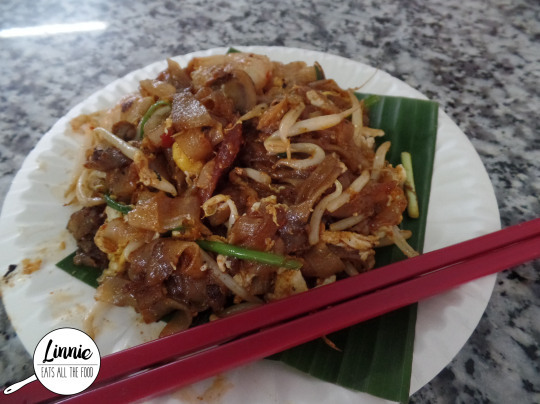 Char Kway Teow – a dish I was told not to leave Penang without trying it. The Char Kway teow was a bit disappointing. Sure it wasn’t super oily but Miss Mumma noticed that it didn’t have the ‘wok’ taste to it which was a shame. 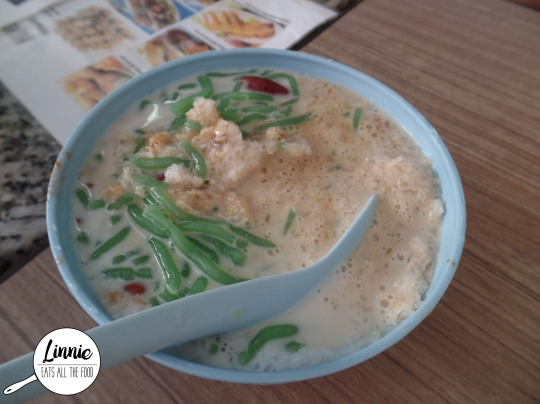 Finally, we were ready for dessert and of course we went for the famous Teochew Chendul. It was so refreshing, very milky and very vibrant. I’m not an asian dessert person but the other two girlies were commenting on our AWESOME SAUCE it was so I’m pretty sure that it was delish! 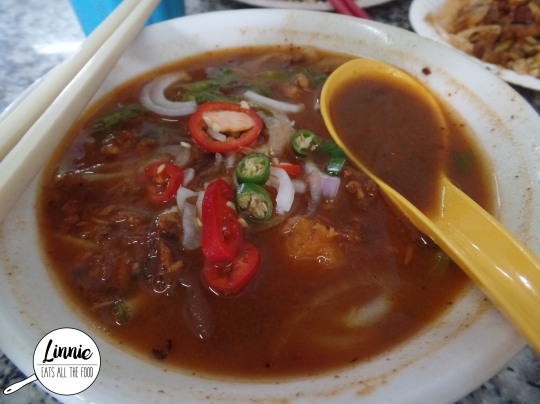 Joo Hooi is a great spot to try out all the food which Penang is known for and the prices are a bit more expensive but it’s probably because the food is pretty goddamn good. They’re closed for dinner so make sure you drop by for lunch and trust me, it’s always busy and you might struggle to find a table but it’s totally worth it once you start ordering and chow down everything in sight.